We were back on the road again on Saturday night, but didn’t have to travel too far; as the wedding was in Cookstown! 🙂 Thanks to Naomi and Michael for inviting us along to the Glenavon Hotel, to play a few tunes at their wedding reception. 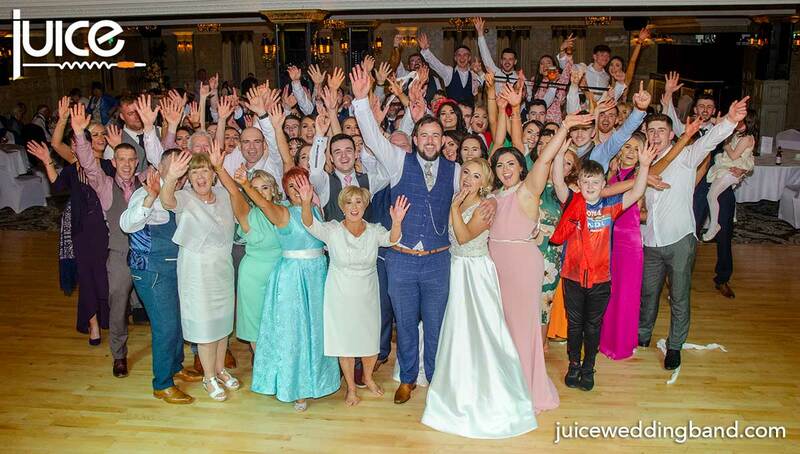 They had chosen the fantastic Tyrone Suite, which suited the size of their crowd perfectly, and was dressed to perfection! We kicked the night off with Rascal Flatts’ Bless the Broken Road for Naomi and Michael’s first dance. After that we called her Dad Kevin up for the Father/Daughter dance, then invited the bridal party to the floor for the third song. We opened the floor to everyone and sped things up for the fourth song, and the crowd didn’t waste anytime running to the dance floor! 🙂 We kept them there for quite a while, until the bar inevitably started shouting louder than us! However, we always got them back quick enough: we must have shouted louder as the night went on, because the floor never emptied once after the buffet! Thanks again to Naomi and Michael for booking us to play at their wedding. Naomi never stopped smiling all night, she’s definitely one of the smiliest brides we’ve met in a while! It was nice to see her having a blast: and great to hear from her and Michael how much they enjoyed themselves when we were chatting to them at the end of the night! 🙂 We’ll sign off by wishing them well on their honeymoon travels. 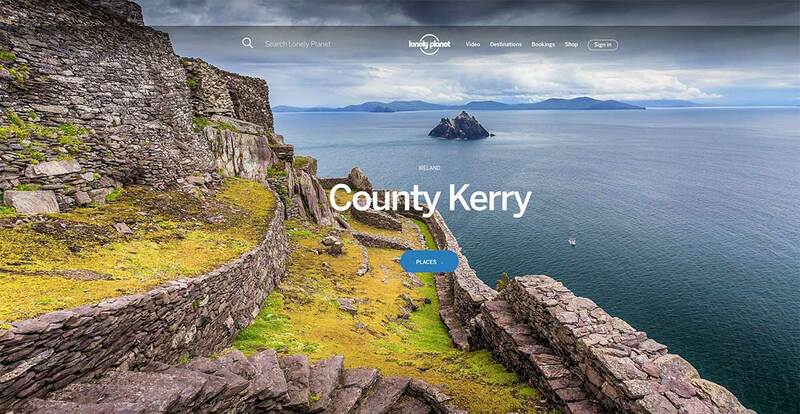 They’re planning on going to Vegas amongst other places on the East coast of the USA later in the year, but for now are taking a few days down to County Kerry to chill out – we couldn’t resist putting the stunning pic from the Lonely Planet website below! Have a great time guys!